Travel to Namibia for a holiday of such diversity that you’ll be wondering whether you’re in the same country. Thriving game reserves, bird-filled wetlands and towering red dunes all feature on the same itinerary – and that’s before you add a wild, shipwreck-strewn coastline or desert ghost town. Sossusvlei – the Namib Desert’s super-sized dunes change colour as the sun rises; the surrounding landscape is a photographer’s dream. 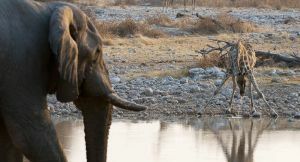 Etosha National Park – highlights include huge elephants, black rhino & all the big cats. Stay in the park itself or an adjoining private reserve. Swakopmund – everyone loves its Bavarian charm but Swakopmund also offers adrenalin adventures, desert safaris, birding trips & ocean tours. Damaraland – black rhino, desert elephant & big cats are the most sought-after sightings in an astonishingly scenic landscape. 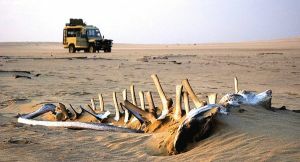 Skeleton Coast – Namibia’s wild northern coastline is marked by seal colonies, thumping surf & shipwrecks – great for photography. 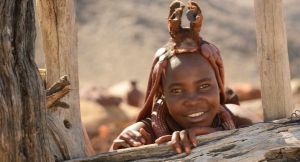 Kaokoland – fly into Namibia’s wildest corner, home to the Himba people. 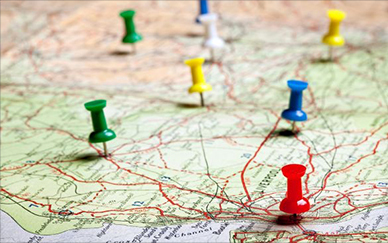 You’ll have a chance to visit a local community. Namibia is a land of awe-inspiring scenery – and a photographer’s dream. 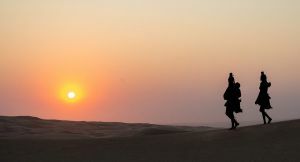 Its giant dunes reach 1000 feet into sunny skies; its rugged mountains hide rock paintings and bizarre lunar landscapes. 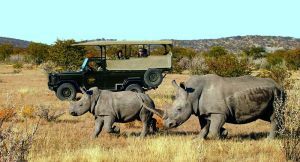 It’s also excellent for wildlife and proud protector of the biggest black rhino and cheetah populations in Africa. Travel to Etosha Park, its flagship reserve, to see desert animals rub shoulders with their savannah cousins – often quite literally around a waterhole. Other regions are home to unique desert-adapted elephants or vast seal colonies. It’s an easy country to get around. The best Namibia travel destinations are well connected by modern infrastructure. Most travellers join an overland tour or fly between accommodation ranging from boutique hotels and grand safari lodges to private villas and honeymoon hideaways. Many tours combine overland and air travel. Levels of service and comfort on safari are high and you’ll enjoy expertly guided game drives, nature walks, cultural encounters and even hot air balloon flights. Everyone finds Namibia a safe, relaxed and friendly country to visit. It’s as welcoming to honeymooners and couples as it is to families with children. 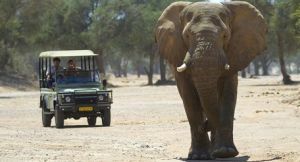 Adrenalin junkies can choose from a long list of white-knuckle activities at Swakopmund; independent-minded travellers can take advantage of Namibia’s open roads and enjoy a self-drive tour. Budget-minded visitors will also find plenty to smile about too – Namibia’s travel destinations can be enjoyed on an overland camping tour without breaking the bank. And if you don’t want to miss out on iconic destinations like Cape Town, Victoria Falls or the Okavango Delta, you’ll be pleased to hear that this is a country easily combined. Regular flights connect Namibia with Botswana, Victoria Falls and South Africa to make sure you get it all. Whether it’s Etosha or the Namib, you’ll see Namibia’s famous wildlife up-close on your morning & afternoon game drives; private reserves offer spot-lit night drives too. 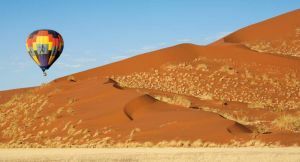 The giant Sossusvlei dunes lie at the heart of the red Namib Desert – if you don’t want to climb one the world’s highest dunes, why not take a balloon flight over them? Namibia’s panoramic Damaraland hides secret populations of these classic heavyweights; you’ll also be on the lookout for big cats & desert antelope. Etosha Lodges often overlook game-packed waterholes which big cats use as ambush points & rhino visit at night. Sit back & let it happen. 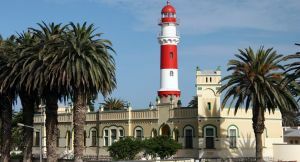 The coastal resort town of Swakopmund is proud of its German heritage; get your timing right & you’ll enjoy the Oktoberfest! Known for its pounding seas & ghostly shipwrecks, this wild shore is home to seal colonies & tucked-away safari lodges. Namibia’s remote Kaokoland is home to a remarkable community. Visit a village for an insight into life in this challenging environment. 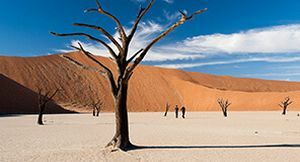 Get to Dead Vlei at first light to put your camera to the test: the enormous clay pan is flanked by sand dunes that stand out starkly against the blue sky and flush red in the early morning sun. Experience the extraordinary! Let us tailor-make your safari to Namibia.